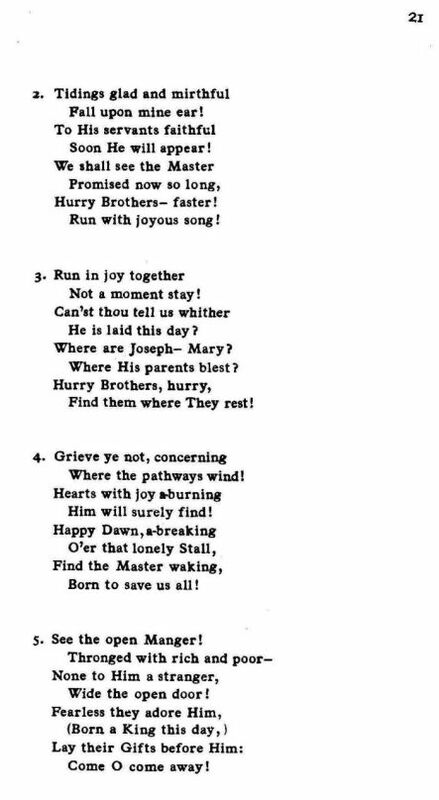 Source: Richard Runciman Terry, Two Hundred Folk Carols (London: Burns Oates & Washbourne Limited, 1933), Carol #49, pp. 20-21. Seek Him where He lies! Sent us from the skies! Come now and adore Him! Son of God is He! He is laid this day? Find them where They rest! Born to save us all! 5. See the open Manger! 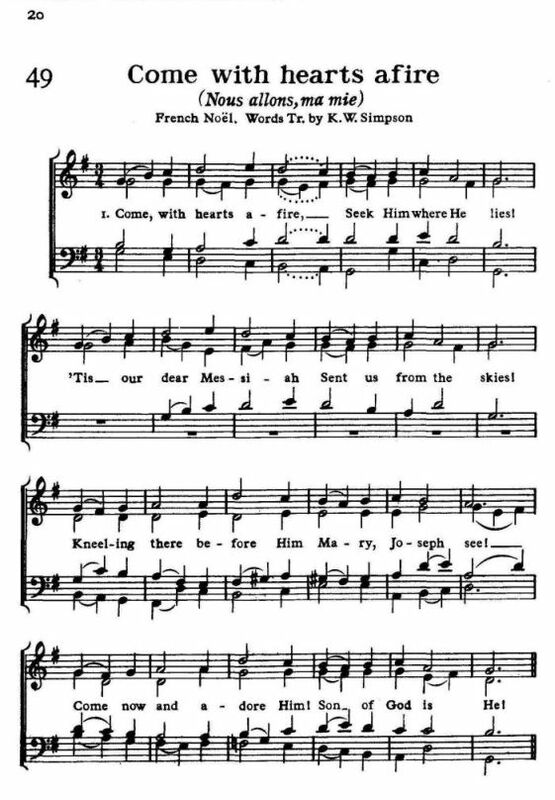 Sheet Music from Richard Runciman Terry, Two Hundred Folk Carols (London: Burns Oates & Washbourne Limited, 1933), Carol #49, pp. 20-21.